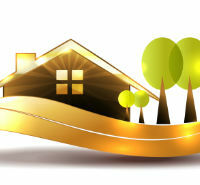 Real estate Web hosting is about more than just location, location, location. Your business needs to link buyers with sellers at any time of day. But if your website loads slowly, or fails to load at all, even the hottest property in the most spectacular location will go unsold. Or worse, it could be sold by a broker who uses a more reliable host. Choosing the right provider to host your site is a vital step when introducing buyers to sellers. As with most Web-based business support systems, your real estate website is a tool that, when used properly, can generate revenue, referrals, and residuals. To what extent is up to you. Chances are that your small business doesn’t have a need for a dedicated server. Rather, you’ll most likely be looking for a shared host or a virtual private server, which all the major providers like Bluehost and iPage certainly provide. Here are some key things to keep in mind when selecting the best host for you. When shopping for the right host, there are some must-have features you should look for. Many real estate Web site hosting companies offer readymade templates, but more tech-savvy agents might prefer a site that’s more customizable. Aside from appearance, you’ll want to choose a host that offers outstanding tech support, significant storage space, and plenty of bandwidth. You should also opt for a company that offers free email addresses, doesn’t charge a setup fee, and guarantees an uptime upward of 99.5%. All of these are important, so don’t sacrifice service features for cost. Shop around long enough, and you’ll find what you’re looking for. The best website hosting for a real estate agent differs depending upon the size of your business, current market characteristics, and types of properties you offer. When searching for a host to fit your needs, explore your options and take advantage of free trials. If you don’t feel that a particular host will help increase your clientele, continue looking till you find one that will. Keep your eyes peeled for hosts that offer unlimited storage space. And if you’re interested in advertising, many hosts offer free credits to run ads in search engines and on social networks. There are many different options available to you, so take the time to familiarize yourself with them. What’s IDX and Why Do You Need It? In order to be competitive in the marketplace, you should try to offer as many listings as possible. Internet Data Exchange (IDX) allows visitors to your site to search multiple listing properties (MLS) within certain geographical parameters. That makes real estate website hosting with IDX the best tool to help you gain that competitive advantage. Without access to MLS, potential buyers will only see a limited scope of what’s actually available on the market. Don’t let your site limit their search. Make certain your host supports IDX. There are sellers out there; IDX and MLS put your buyers in front of them. At its most basic level, real estate website hosting is a foundation that allows your site to connect buyers and sellers. And since a lot of those individuals are on social media, your website and host should play well with those platforms. So if you’re active on Facebook, Twitter, Instagram, and LinkedIn, choose a host that supports social media connections. And while you’re at it, be sure to select a host that gives you the freedom to maintain a blog. Having a blog will allow you to add content that strengthens the bond between buyer, seller, and agent. Use these types of tools to build your virtual community, while working to build physical communities. Choosing the best host for your real estate site is a big decision. Take the time to research and compare your options before selecting the foundation that’s right for you. Find more information on Web hosting options for your real estate business with this infographic.